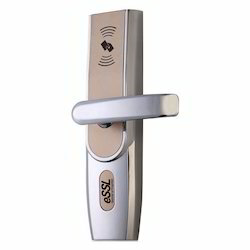 Leading Manufacturer of l9000 finger based door locking system, smart door locking system, fingerprint door lock system, l5000 fingerprint door lock system and card reader hotel door lock from Mumbai. L9000 is a smart lock with embedded fingerprint recognition technology, It uses antitheft mortise with one latch and two deadbolts which can lock both inside and outside for more security. It has multiple locking systems – fingerprint, password & mechanical key. ML10 is a smart lock with embedded fingerprint recognition technology. It is a DIY design, which can replace knob lock easily and quickly. You even can do it by yourself. Being a famed organization of the market, we are engaged in offering an all-encompassing range of Smart Door Locking System to our global clients. This system is made available in different configurations and specifications as per the client's specifications. An offered system is assembled using topmost grade components and sophisticated technology in conformity with certified industrial norms. In order to ensure the defect free range, this system is examined against various parameters of quality set by industry by certified vendors. L4000 is one smart lock with embedded fingerprint recognition technology. It uses European standard mortise with 5 latches, the deadbolt will be locked automatically once the door is closed. It also has four unlocking ways- fingerprint, password, card, mechanical key. 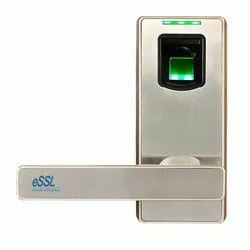 L5000 Fingerprint Door lock System offers single door management solution that provides with unmatched options that come with OLED, standard USB interface. 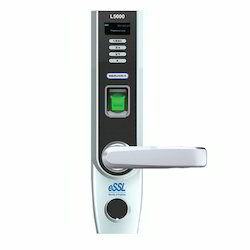 The All-in-one Biometric Door Lock L5000 Machine is very convenient to operate. Enrollment and management of users are done on the OLED display. An administrator or supervisor can Add, Delete or Change users very easily on the Intelligent Fingerprint Door Lock System. 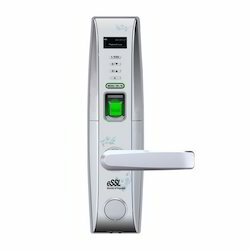 As per the variegated requirements of our clients, we are offering a comprehensive range of Hotel Door Lock Card Reader. This reader is used in offices, homes, schools, institutions and other related places for print documents. The offered reader is designed using superior grade basic material and progressive techniques in synchronization with latest market norms. Apart from this, the offered reader is widely acknowledged among our prestigious clients for its optimum performance.